iP3: “iPhone 5″ case pulled from online trading site – is it real? “iPhone 5″ case pulled from online trading site – is it real? 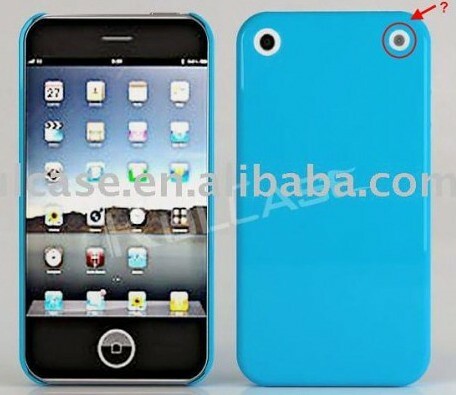 The purported iPhone 5 case that gained popularity over the last few days has been removed from trading site Alibaba. The case obviously brought a large amount of attention to its manufacter so we don’t think the case was removed by choice. Prior to the iPad 2′s official announcement in March, many iPad 2 cases found on Alibaba revealed key features like its thinner design and FaceTime video cameras. Those iPad 2 cases ended up being removed from Alibaba with the help of Apple’s legal team. We’re not going to say for sure that Apple was behind the removal of the above iPhone 5 case, but it makes sense. Adding evidence to the legitimacy of this iPhone 5 case are purported iPhone 5 camera parts. These camera parts demonstrate a relocated LED camera flash, which is also noted on the above iPhone 5 case sample image.